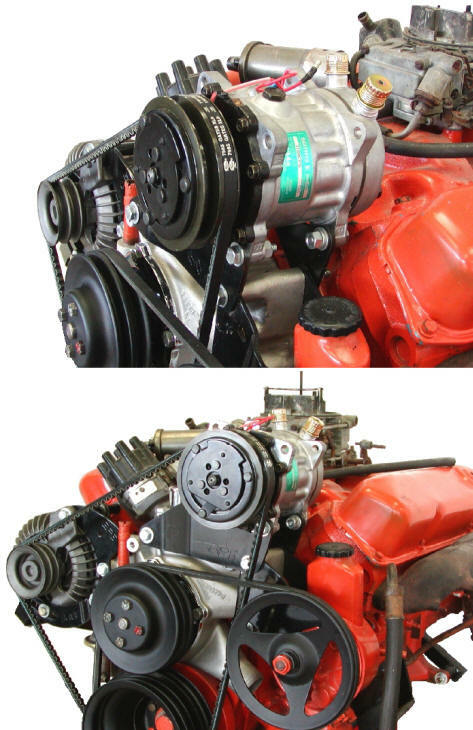 NOTE: For Cleaner installation, we recommend mounting the compressor with both ,suction & discharge ports, pointing towards right side inner fender. Then use a pair of 45 degree fittings (BLA1312-3 & BLA1313-3) at compressor, and route hoses across top of Alternator. Sanden SD7H on Hemi Engines. Also Works with Hemi's without Street Hemi Dampers. or For Hemi: BPE7312 Sanden SD7H "Shorty"